Printed area of the maps is approx 12.5 x 9". 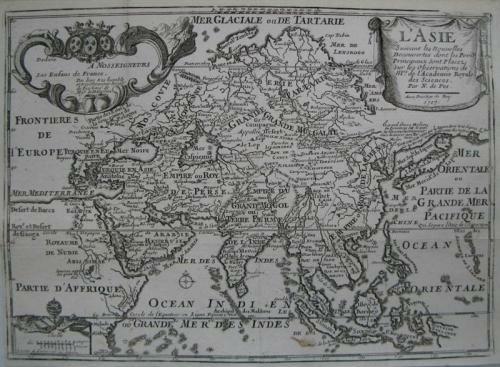 L'ASIE: This decorative map shows all of Asia with many notes in French. In the upper right, under the title cartouche, eastern Siberia is the subject of much uncertainty. In very good condition with a small repaired tear at the fold.